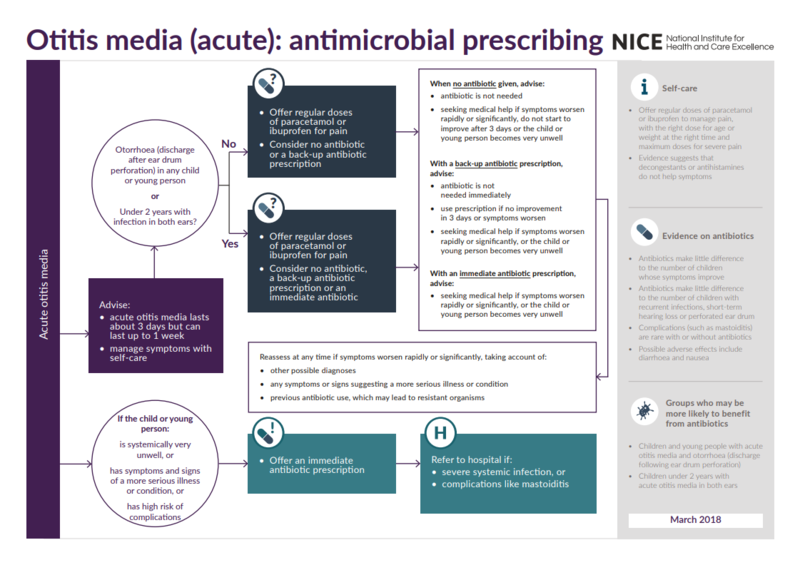 This guideline sets out an antimicrobial prescribing strategy for acute otitis media (ear infection). It aims to limit antibiotic use and reduce antimicrobial resistance. Acute otitis media can be caused by viruses or bacteria. It lasts for about a week, and most children get better in 3 days without antibiotics. Serious complications are rare.